Palomar means "art in motion". 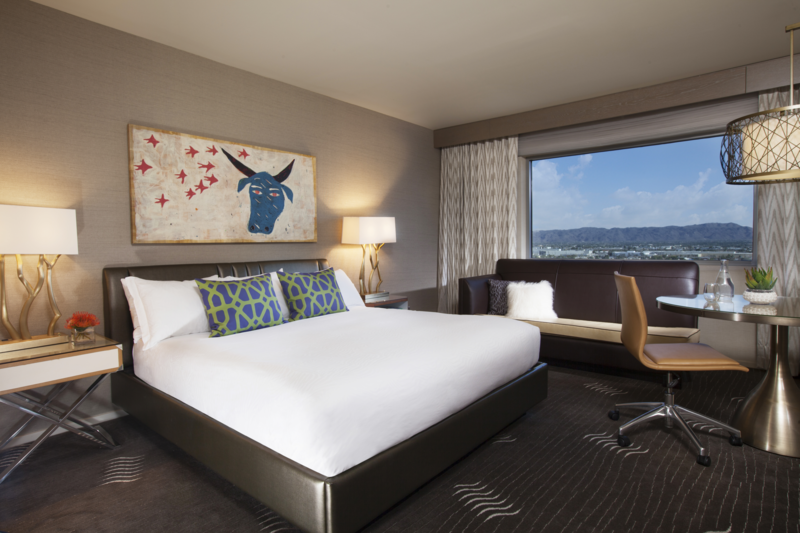 The hotel, located in downtown Phoenix, incorporates local art throughout the hotel and guest rooms. 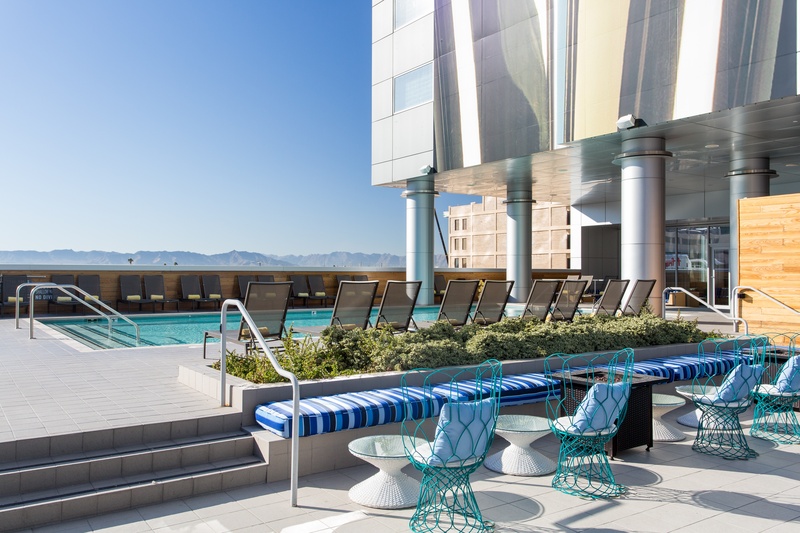 Kimpton Hotel Palomar Phoenix is located in the heart of vibrant downtown Phoenix at CityScape, a dynamic mixed-use development featuring shopping, entertainment and dining. 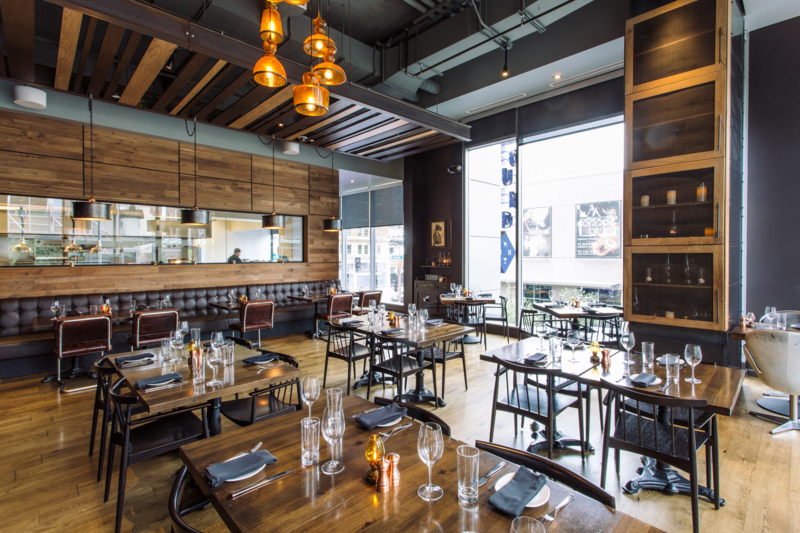 Hotel Palomar is an urban retreat that strikes the balance between the energy of its city setting and Arizona&apos;s laid-back lifestyle. The boutique hotel offers 242 spacious guest rooms and suites, all with modern interior touches and views of the surrounding city and mountains. In step with the signature style of Hotel Palomar, this Phoenix destination combines contemporary design with an "Art in Motion" theme embracing the undercurrent of artistic energy throughout. Amenities include approximately 10,000 square feet of multi-use space across 10 meeting rooms, which can be customized for social and business events; the adjacent Blue Hound Kitchen & Cocktails, an American gastro-lounge known for its cuisine and its blazing cocktail program that raises the bar for drink culture in the city&apos;s urban core; and LUSTRE Rooftop Bar, perched on the third-floor pool deck of the hotel, and has been named one of the Best Rooftop Bars by Travel + Leisure and USA Today.